Sign up to sponsor the Mobility 21 Summit closing session featuring Southern California’s top transportation executives. There’s still time to sponsor California’s largest one-day transportation conference and expo of the year. Sponsor the closing session featuring the CEOs from each of the county transportation agencies. Sponsor wifi access provided to all attendees and your website will be the landing page upon user login. Introduce a breakout session moderator! Sponsor one of our twelve breakout sessions. Provide a raffle prize for the closing session and your company logo will be featured during the sponsor slideshow. The annual Mobility 21 Summit will be held this year on Friday, Sept. 28 at the Disneyland Hotel. With a focus on bringing nontraditional transportation stakeholders to the table, this year’s Summit will feature twelve breakout sessions with topics ranging from the November election and clean goods movement technologies to bicycle-friendly business districts and new mobile applications. Like us on Facebook before June 30 for $10 off Early Bird registration! Click the “Offer” tab to reveal the promo code. Mobility 21 Board Member and Los Angeles County Metropolitan Transportation Authority CEO Art Leahy addresses the media during a news conference urging Congress to pass a transportation bill. News from Capitol Hill the past few weeks has left transportation analysts wondering if a federal transportation bill will be passed before the June 30 deadline to avoid a stop-gap measure. As the Senate and House continue to resolve areas of disagreement in the final authorization, follow Mobility 21 on Twitter for breaking transportation bill news. Earlier this month, transportation, business, labor and government leaders from across Southern California urged Congress to pass a transportation bill during a news conference held at the main office of the Southern California Association of Governments (SCAG). The current bill, the Safe, Accountable, Flexible, Efficient Transportation Equity Act: A Legacy for Users (SAFETEA-LU), authorizes how surface transportation projects are funded and expired Sept. 30, 2009. The bill has been renewed nine times at the 2005 funding level over nearly three years. The current extension will expire on June 30, 2012. At the news conference, SCAG President Glen Becerra was joined by Mobility 21 members and regional leaders in business, labor, government and transportation to urge Congress to act in a bipartisan manner and pass a long-term extension to the bill and not put 2.9 million jobs at risk. 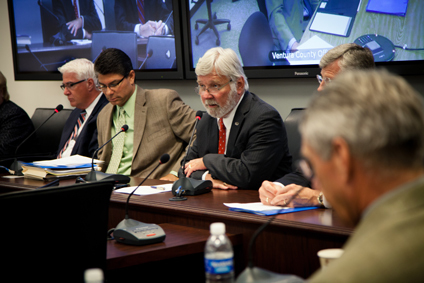 View the news conference on the SCAG website at: http://www.scag.ca.gov/scagtv/index.htm. The South Coast Air Quality Management District (AQMD) hosted a policy forum in Washington, D.C. this month to highlight ways Southern California is moving to cleaner transportation and energy technologies. Forum attendees heard from leading clean air experts about the nexus between cleaning Southern California’s air, moving goods and building a strong economy. The half-day forum, which featured Reps. Earl Blumenauer, Janice Hahn, Grace Napolitano, Laura Richardson and Henry Waxman, attracted clean technology innovators from across the country. Speakers discussed emerging low-emission technologies, funding and implementation strategies and the role the federal government should play in cleaning the air. The South Coast AQMD is the air pollution control agency for major portions of Los Angeles, San Bernardino and Riverside counties and all of Orange County. With the mission to achieve clean air for Southern Californians, South Coast AQMD works to develop strategies to reduce pollution through emerging low- and zero-emission technologies. 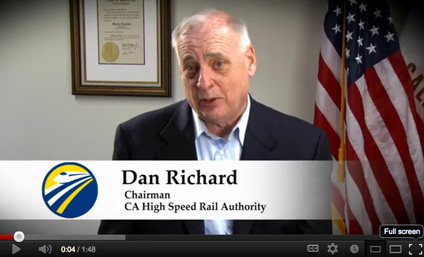 California High-Speed Rail Authority Chair Dan Richard reports on the recent significant changes and progress at the Authority. 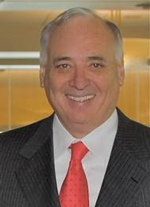 This month, Chair of the California High-Speed Rail Authority Dan Richard discusses the funding plan, vision and benefits Southern California will see from the High-Speed Rail project. M21: Congress hasn’t been in the mood lately to authorize more funding for High-Speed Rail and Washington’s fiscal problems are dominating headlines. What is your plan for High-Speed Rail if more federal money is not available for many years to come? DR: First of all, our Revised Business Plan assumes no additional federal money to be available for High-Speed Rail (HSR) in the next three years. Unfortunately, HSR has turned into a bit of a political football at the moment, especially with the Presidential election coming up. It is our expectation that these political winds will change after the next election and sentiments will return to where they were before this cycle began: broad bi-partisan support for HSR. Now, if for some reason federal funds do not materialize, we’ve come up with a backstop, which is revenues from California’s groundbreaking Cap & Trade program. We think this is a very appropriate use of a small fraction of these revenues because HSR will exponentially reduce California’s greenhouse gas emissions for generations. That being said, we will continue to aggressively pursue federal support whether that be in the form of direct appropriation or special grant programs. These efforts will only benefit from the strong collaborative relationship we have with the US Department of Transportation. M21: Describe a typical high-speed rail passenger, or a business that would benefit from high-speed rail. DR: Well, I’m not sure there is a typical HSR passenger. We envision people using HSR for a multitude of purposes. It could be the Silicon Valley businessman who hops on the train in San Jose for a meeting in San Francisco, the family from Fresno taking a vacation to Disneyland, the college student at UC Merced who returns to Sacramento for summer break, or the Los Angeles entrepreneur who rides up to Bakersfield to scout a new venue for her next big idea. So you see, the possibilities for high-speed rail travel are endless. The opportunities for businesses to benefit are equally vast. I’m particularly excited about the opportunity for HSR to revitalize the downtowns of cities like Bakersfield and Fresno. With an influx of people traveling around the state, come countless new business opportunities. Fresno, for instance, is already the gateway to Yosemite and HSR can make access even easier and bring a whole new tourist industry to the area. UC Merced is already exploring the possibility of training and workforce development surrounding HSR technology, so we could be looking at a whole new sector of the economy developing around HSR. The biggest impact on businesses will be a general increase of demand as people move about the state more freely. HSR will simply open up more opportunity for the flow of commerce. M21: What are the near-term benefits of High-Speed Rail to Southern California’s Inland Empire, a region of 4 million people? DR: The Inland Empire will not see direct high-speed rail service under the first phase of our plans. However, much like Interstate 5, a north-south high-speed rail line will bring more people to the region (and the associated economic activity) as well as provide Inland Empire residents with a more efficient way to move around the state. This connectivity to other parts of the state will only be enhanced by our initial investment strategy, through which we will be delivering a statewide rail improvement program. This plan upgrades and extends the Metrolink service and completes funding of the LA Regional Connector. These projects will further enhance connectivity between the Inland Empire, downtown Los Angeles, and ultimately a high-speed rail line connecting San Francisco and LA. Furthermore, Phase II of the high-speed rail system will extend from Los Angeles to the Ontario Airport and Riverside, further building on connections that will already exist via Metrolink. M21: What are some examples of how High-Speed Rail will connect to existing infrastructure in Southern California? DR: When we came out with our Revised Business Plan in April, we implemented a new way of thinking about this issue. In a stark departure from previous plans, we decided to adopt a “blended approach.” Essentially, this means utilizing and connecting to existing infrastructure wherever possible. In doing so, we shave billions off the price tag, limited disruption to communities, and will be able to begin HSR operations sooner. In Southern California, we will achieve these goals in two ways. First, as I referenced previously, we’ll be upgrading regional and local transit systems to improve connectivity to the high-speed rail line. 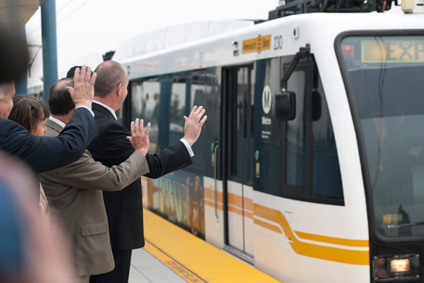 By improving these services, Californians will have more efficient, seamless access to HSR. Secondly, we’re also going to be upgrading the Metrolink line from Union Station to Palmdale and connecting it right in to the high-speed rail line. This will allow for an easy, cross-platform transfer to Metrolink under the initial HSR operations. Eventually, we’ll extend HSR all the way into downtown LA to create what is called a “one-seat ride” from San Francisco to Los Angeles. Los Angeles dignitaries welcome Metro Expo Line to the Culver City Station. Marking a milestone moment in the construction of the Expo light rail line from Santa Monica to downtown Los Angeles, Metro opened the Culver City Station and the Farmdale Station to the public on June 20. The Metro Orange Line Extension — a four-mile addition to the wildly popular Orange Line busway — will open to the public on Saturday, June 30 with community celebrations and free rides. The Orange Line Extension is the latest addition to Metro’s rapidly expanding transit system and the latest link in the plan for regional connectivity. As part of the existing Orange Line it will run from the Chatsworth Metrolink and Amtrak Station — gateway to Ventura County — to the Metro Red Line Station in North Hollywood. The goal of FuturePorts is to serve as a forum and provide regional leadership dedicated to achieve superior performance of the Southern California goods movement gateway. Hundreds of transportation professionals and leaders attended the FuturePorts conference this month, “Strong Ports=Strong California,” to highlight the issues challenging the goods movement industry in California. Conference attendees heard from policy, energy, funding and political experts on what California’s goods movement industry can do to keep the market share of freight in order to maintain the economic engine of California strong for years to come. The event also explored the electrification of goods movement, as well as future financing options to fund new technology and infrastructure. Click here to view the conference agenda and download speaker presentations. 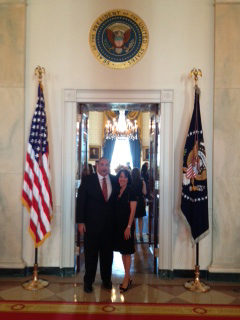 Mobility 21 Treasurer Paul Granillo, President and CEO of the Inland Empire Economic Partnership along with his wife Christina Granillo, Ph.D, were invited by President Barack Obama to attend the White House Cinco de Mayo celebration. Both Paul and Christina had the opportunity to greet the President and to dialogue with Secretary of Labor Hilda Solis and other White House staff. Students from the 2011 WTS-OC Transportation Academy learned about goods movement and port operations at the San Pedro Bay Complex. The WTS-OC Transportation Academy is a two-week immersion into different facets of the transportation industry for undergraduate and graduate university students during the month of August. Participants will be exposed to management, finance, operations and planning, as well as engineering, construction management and transit-oriented development principles. 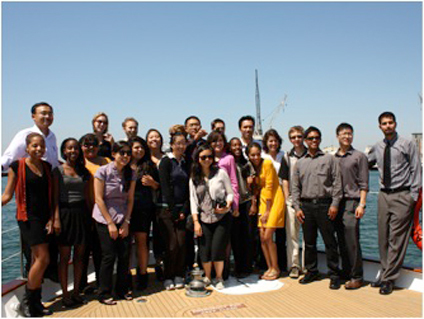 In addition to hearing from top executives within the transportation field, the students will experience transportation first-hand through a series of onsite tours including live construction projects, Los Angeles and Long Beach Harbors via boat, a rail yard and tolling facilities. Students will hear from seasoned professionals during the five days, including representatives from the Transportation Corridor Agencies, Orange County Transportation Authority, Los Angeles County Metropolitan Transportation Authority, Metrolink, Caltrans, Hill International, John Wayne Airport, Parsons Brinckerhoff, Port of Long Beach and Port of Los Angeles. Students must be available from 8 a.m. to 5 p.m. Aug. 7, 8, 10, 14 and 16 to participate. There is no cost to students and lunch will be provided. Transportation to and from all academies will be the responsibility of the student. Complete and submit the application by July 13, 2012. Class size is limited! If you have any questions, please contact Bill Burger at bburger@thetollroads.com. Simon Wong Engineering has played a major role on some of Southern California’s most exciting and innovative transportation projects. Established in 1986, Simon Wong Engineering (SWE) has played a major role on some of Southern California’s most innovative and high-profile roadway and transportation projects. Headquartered in San Diego, with offices serving Irvine, Los Angeles, Riverside, El Centro and San Francisco, SWE is comprised of four divisions — Bridge Design, Structural Design, Construction Management and Public Relations. 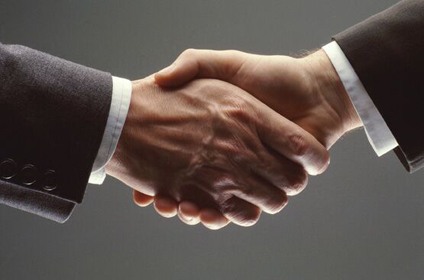 SWE believes that people want to do business with companies they know and trust. The firm’s mission is to become essential partners to its clients by building and managing strong, trust-based relationships with the people critical to their success. This is why SWE has a proven track-record of successfully managing major design-related, construction management and public outreach contracts. This success has resulted in numerous repeat clients including North County Transit District, SANDAG, SANBAG, Caltrans Districts 8, 11 and 59, City of Los Angeles, County of San Diego, Orange County Transportation Authority, Riverside County Transportation Department, Centre City Development Corporation, Southeastern Development Corporation, City of Carlsbad and many others. SWE has worked hard to develop these relationships and earns a great amount of respect from its clients. SWE is excited about the growth of transportation and is proud to support Mobility 21 and their efforts to improve mobility within the region. Parsons Brinckerhoff: We Mentor Here! 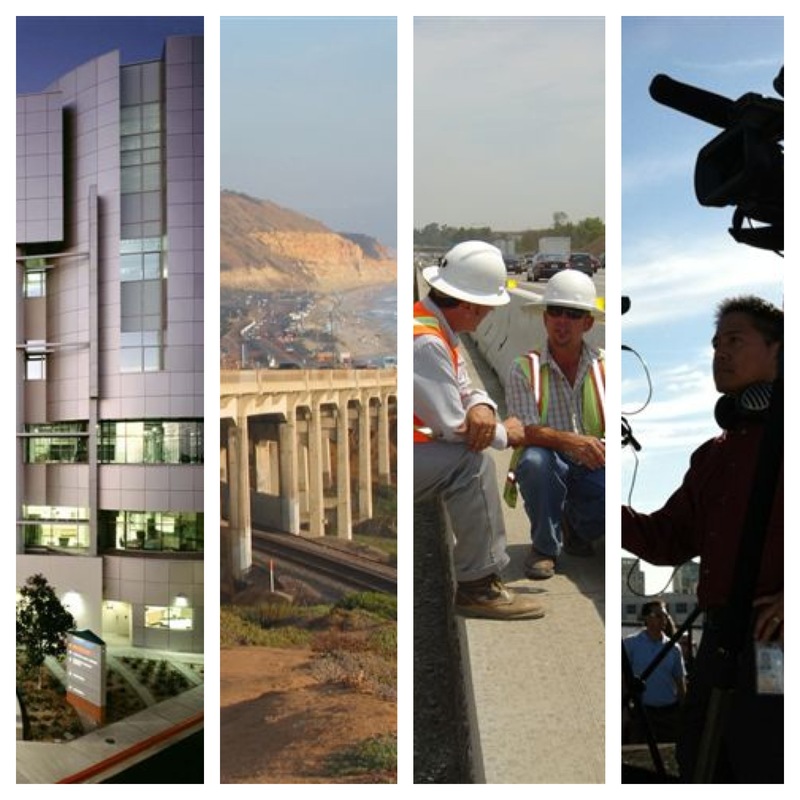 Parsons Brinckerhoff has helped to design and build infrastructure in Southern California for 40 years. As part of the fabric of the communities in which Parsons Brinckerhoff works, the company serves and partners with its clients in the development of effective transportation services throughout the region. Parsons Brinckerhoff strongly supports the advocacy and coalition building efforts of Mobility 21 and proudly supports the 2012 Mobility 21 Summit for the fifth year. June is “Mentoring Month” at Parsons Brinckerhoff and its efforts internally and externally ensure the next generation of planners, engineers and infrastructure professionals are supported in their educational and professional endeavors. Internally, Parsons Brinckerhoff encourages employees to both be a mentor and seek a mentor within the company. These informal relationships can be geared toward how to reach a new professional goal or have a healthy work/life balance, or successfully navigate the complexities of a large corporation. Externally, Parsons Brinckerhoff in Southern California provides sponsorships to organizations so university students may attend infrastructure-related events at significantly reduced rates. Parsons Brinckerhoff’s professionals have participated in Pillar events, a program of the Los Angeles Chamber of Commerce promoting STEM education. Parsons Brinckerhoff enthusiastically recruits and hires university interns and is a recent sponsor of the CORO program. Parsons Brinckerhoff believes mentoring is vital to ensuring a vibrant and sustainable infrastructure future with fresh perspectives blooming from the successes of the past.